Despite innumerable efforts to set the record straight over the past century, Adolf Loos remains frequently misunderstood both as architect and as thinker. His polemic against ornament tends to be erroneously read as anticipating the sterile classical ‘form follows function’ modernism that originated in the wake of the Bauhaus instead of the critical reaction to Jugendstil, the peculiarly Viennese form of modernism that wallowed in ornament epitomized in the work of his arch-rival Josef Hoffmann, that it actually was: a radical critique of Austrian building practices in the words of the doyen of contemporary Austrian architecture critics, Friedrich Achleitner. In fact, Loos represented a critical modernist approach to building suited to the peculiar needs of modern living. Thus there was a decidedly historicist moment in all his thinking about architecture. However, his project went far beyond mere historicism. Like his friend and ally Karl Kraus, he realized that ‘modern’ Viennese confusions about building and design are ultimately rooted in ‘modern’ Viennese confusions about the very issue of how to live itself and thus fundamentally an ethical matter. He was acutely aware that the very plurality of values that is the earmark of liberal society could itself issue in a ‘value vacuum’ (as Hermann Broch would later suggest) where superficial conformism and nihilistic narcissism are allowed to corrode that critical judgment with respect to taste which is the defining characteristic of genuine pluralism. The polemics of both Kraus and Loos were essentially Socratic exercises in collective self-criticism. Both in his buildings and his essays Loos aimed at educating the confused. Why should this be so difficult to grasp? The short answer is that Loos’s polemic, especially the famous essay Ornament and Crime, is read in connection with the polemics surrounding his buildings and thus independently of both his building activities and the positive message of his other numerous writing on design, style and taste. The result is that the former come to be seen as bearing upon ‘principles’ of building and thus constituting an ideology or dogma (or maybe a counter-dogma) within architectural theory, i.e., precisely what Loos attacked. In order to see (literally or figuratively) you have to know what to look for; whereas knowing what to look for in matters of taste is a question of appreciating the significance of details and nuances. It is the service of Christopher Long’s fully documented, magnificently illustrated and richly-detailed monograph on every aspect of the planning and execution of Loos’s most (in)famous building to focus our attention poignantly upon what went into planning and executing that extraordinary structure and how its execution occasioned his equally (in)famous essay Ornament and Crime as well as a spate of others, including On Architecture, arguably his finest effort at articulating his contextual conception of building. Indeed, Long underscores Loos’s efforts to produce a building ‘in harmony with the imperial palace, the square and the city’, as the architect himself put it, one deeply rooted in Viennese building traditions, which above all would not detract from the façade of the Hofburg. That Loos was a profound admirer of the Biedermeier has long been recognized on the basis of the sharp Biedermeier separation between the commercial and residential parts of the building. However, his peculiar way of adapting traditional pre-industrial designs to a machine-age metropolis has seldom been so pointedly and precisely articulated. Thus Long calls attention to the fact that Loos was so conservative in the residential parts of the building as to design the bourgeois apartments in its upper floors en filade, in a straight line, as was customary in palaces and the middle class dwellings that imitated them. However it is curious that he does not remark upon the fact that it was the very opposite of the principle that otherwise guided Loos in designing private homes. For all that, Long’s sharp focus on the Haus am Michaelerplatz illuminates the very core of Loos’s conception of building in all its details. To take a single simple but poignant example, he draws our attention to the curved glass windows (a relatively recent technical development then) behind the classically pillared lower façade of the ground floor which highlights the ‘manifest opposition between modernity and tradition’ that is typical of the Goldman and Salatsch building. Similarly, he underscores how the Looshaus attests to the fact that Loos’ diatribe against ornament (which needs to be seen in the context of an ongoing debate about the subject among German architects) was directed first, last and always against superfluous ornament, ornament ‘embellishing’ a façade as opposed to the more elegant and organic form of ornamentation that emerged by employing the very materials (Loos always insisted on employing only the finest) from which that façade has been constructed. The exquisite Cipollino marble lower façade contrasting with the lime plaster upper façade of the the Haus am Michaelerplatz and the superb mahogany veneers in Goldman’s shop are cases in point. Furthermore, Long elegantly and succinctly clears up a perennial source of confusion about Loos arising from superficial acquaintance with his work by stressing how his main achievement as an architect was his way of structuring the interiors of his buildings by ‘curtailing and binding volumes’ according to what has come to be called a Raumplan (or Raumplanung). Loos was the very first to realize that the use of steel-reinforced concrete facilitated a wholly new concept of designing rooms within a house. He realized that it enabled that architect to manipulate space vertically as well as horizontally. That would facilitate dividing it more economically than weight-bearing walls permitted and the resultant improved modes of dividing space would in turn permit a new mode of defining the relationship between the more and less ‘public’ sections of buildings. Rooms could now be conceived as interlocking volumes within a cube to be configured according to occupants’ needs. However, it is precisely this, his most significant contribution to modern architecture, which is obscured if we approach Loos from Ornament and Crime or the equally famous essay The Potemkin Village, which only discuss façades and not interiors. Once we have grasped that point there is no chance of being distracted by the verbal pyrotechnics in Loos’s polemics from understanding his architectural achievements. 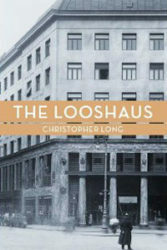 Sharply focusing upon the centrality of understanding the origins and execution of as well as the controversies about the Looshaus allows Long to elucidate Loos’s place in the development of modern architecture eloquently and with crystal clarity. However, at the same time that very sharpness of focus has a price, namely, that the one fails to see Loos’s centrality to what the Loos scholar Anders Munch (see his monograph Den stilløse stil: Adolf Loos, 2002) and I (Wittgenstein’s Vienna Revisited, 2001) have termed Viennese critical modernism. Loos was part of the central axis of this highly self-conscious movement in opposition to the predominant Viennese aestheticism that Loos himself originated in his essays in the mid-1890s and later came to be associated with his friend and ally Karl Kraus and Die Fackel. This network included Arnold Schoenberg and Oskar Kokoschka (and through him Egon Schiele) as well as the circle around Ludwig von Ficker, including Trakl and even Ludwig Wittgenstein, to whom Loos upon being introduced by Ludwig von Ficker, said: ‘You are me.’ This side of Loos is scarcely represented in Long’s study; however, it would not be entirely fair to consider that a scathing criticism because, if we are ever going to get straight about this other side to Loos as Anders Munch, Friedrich Achleitner and others rightly insist, we desperately need precisely the sort of penetrating, detailed analysis of individual cases of the sort that Long’s book superbly exemplifies.